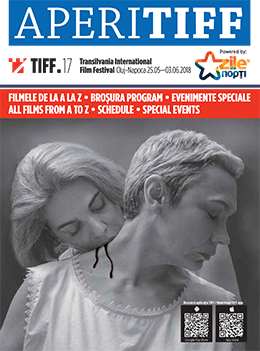 Transilvania International Film Festival (TIFF), the first and largest international feature film festival in Romania, is catching up in two days. 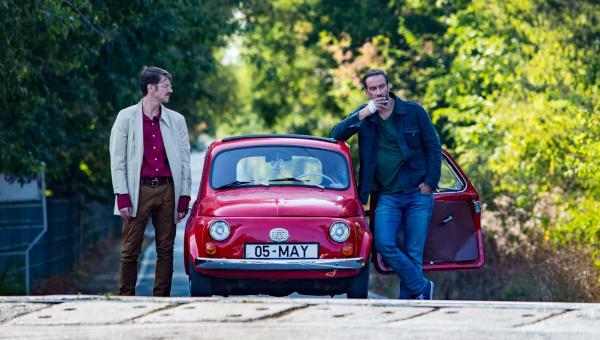 The 2018 run of TIFF takes place between May 25 and June 3, in Cluj-Napoca, in western Romania, bringing together some of the greatest films from all over the world. 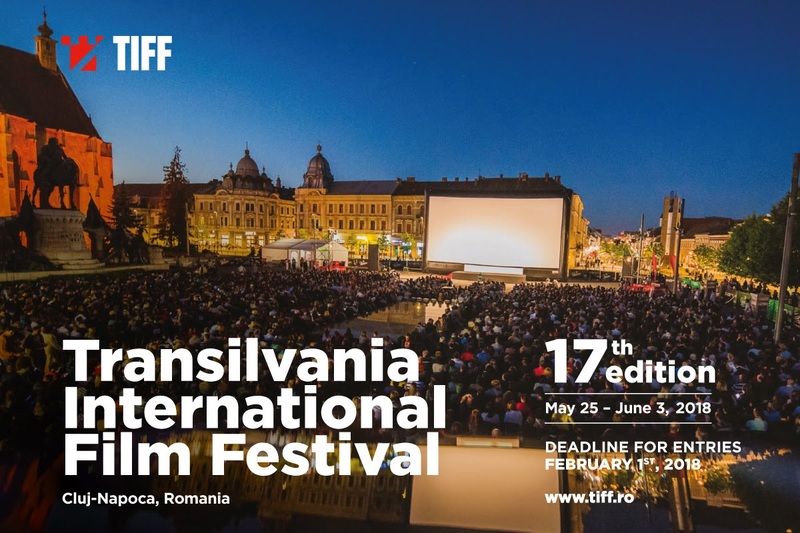 The Official Competition of Transilvania International Film Festival, includes many debuts, giving the opportunity to first- and second -time directors to introduce their own cinematic vision. Nine strong debuts, two by Romanian directors, will compete for the Transilvania Trophy, alongside three sophomore efforts by new auteurs. The 12 films in the Official Competition of the 17th edition of TIFF are all national premieres and are representative for the new generation of filmakers around the world. This year the Official Competition features three Balkan films. Touch Me Not is director Adina Pintilie΄s feature debut and a double winner at the Berlinale – The Golden Bear and the Best First Feature Award. Charleston by Andrei Cretulescu, the second Romanian debut in the international competition and the Greek Pity by Babis Makridis. This year΄s Romanian Days- the festival΄s most popular sidebar -will include 35 titles. 13 features and 22 shorts, some of which are world premieres, while others are recipients of major festival awards. 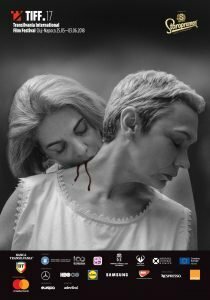 Two films included in the international competition for the Transylvania Trophy will also be screened in the Romanian Days. Touch Me Not by Adina Pintilie and Charleston by Andrei Cretulescu. This year΄s Romanian Days features five world premieres, some of them from first-time directors. Bogdan Theodor Olteanu enters the competition with his debut Several Conversations About a Very Tall Girl. Actor Vlad Zamfirescu makes his directorial debut with The Secret of Happiness. Winner of the debut prize of the Romanian Days in 2013 for his A Month in Thailand, Paul Negoescu returns to TIFF with The Story of a Summer Lover. Alex Mavrodineanu΄s documentary Caisa and Free Dacians by Andrei Gorgan and Monica Lazurean Gorgan. Another six films are also included in the Romanian Days Competition. Licu, a Romanian Story brought director Ana Dumitrescu the top award at DOK Leipzig. The great winner of this year΄s Gopo Awards One Step Behind The Seraphim, a feature film by Daniel Sandu. Pororoca by Constantin Popescu. Lead Bogdan Dumitrache was recognized as best actor at San Sebastian for this role. Serban Pavlu also received an acting award at Sarajevo for playing a father who sacrifices everything for his child’s happiness in Meda or The Not so Bright Side of Things—a film which also received the directing award for Emanuel Parvu. Launched in the San Sebastian competition and awarded in Trieste, Soldiers. Story From Ferentari directed by Ivana Mladenovic, is also included in the Romanian Days Competition. After premiering in the Berlinale Forum section Infinite Football by Corneliu Porumboiu, will be screened out of competition at TIFF. Last but not least, the Romanian Days program includes 22 shorts, 17 of which compete for the shorts award: Miss Sueno (dir. Radu Potcoava), Karmasutra (dir. Cristian Bota), Ionut and Calin (dir. Sorin Poama), Ivy (dir. Sarra Tsorakidis), Michelangelo (dir. Anghel Damian), Must Love Kubrick (dir. Alma Andreescu), Parabellum (dir. Andrei Cretulescu), The Christmas Gift (dir. Bogdan Mureșanu), Everything Is Far Away (dir. Emanuel Parvu), Morski Briz (dir. Cecilia Stefanescu), Sunday (dir. Dorian Boguta), The Seagull (dir. Maria Popistasu, Alex Baciu), New Dakia (dir. Millo Simulov), 8 (dir. Mihai Parcalabu), Silence (dir. Alex Iures), E.T. Was Here (dir. Ana Agopian), and The Beast (dir. Andreea Lacatus). Five documentary and animation shorts will be screened out of competition: PhoeniXXX (dir. Mihai Dragolea), A Death in My Family (dir. Andra Tarara), Ionas Dreams of Rain (dir. Dragos Hanciu), In the Frame (dir. Ion Gnatiuc), and Ceva (dir. Paul Muresan). Just as controversial as the films in the theme section To Be or Not to Be Politically Correct?, are the nine selections in TIFF’s traditional No Limits sidebar. One of them, When The Trees Fall by Marysia Nikitiuk, is a co-production between Ukraine, Poland and Republic of Macedonia. Luc Besson’s The Big Blue (1988) returns to Romania 30 years after its premiere, this time on the largest screen, in the Unirii Square in Cluj, as the closing night film for the 17th edition of the Transilvania International Festival. The screening will take place on June 3rd, 2018, at 9:45 PM, in the presence of lead actor Jean-Marc Barr, and will be presented as a double feature with Lefteris Haritos’s spectacular Dolphin Man (2017), which tells the story of legendary diver Jacques Mayol, Besson’s inspiration for the film. 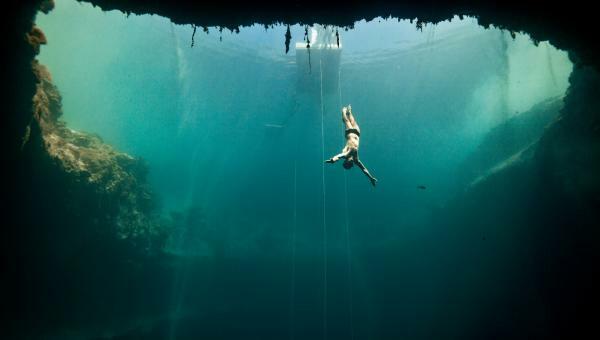 In fact, Jean-Marc Barr narrates Dolphin Man, a documentary on Jacques Mayol, the revolutionary diver who reconnected the depths of the oceans with the depths of human consciousness. Rare archival images from the 1950s combine with spectacular underwater footage and testimonies from those who knew Mayol. Lefteris Haritos’s documentary was launched last fall at the Thessaloniki Film Festival, and also won the Best Newcomer and the Best Documentary Award at the Greek Film Academy Awards 2018.